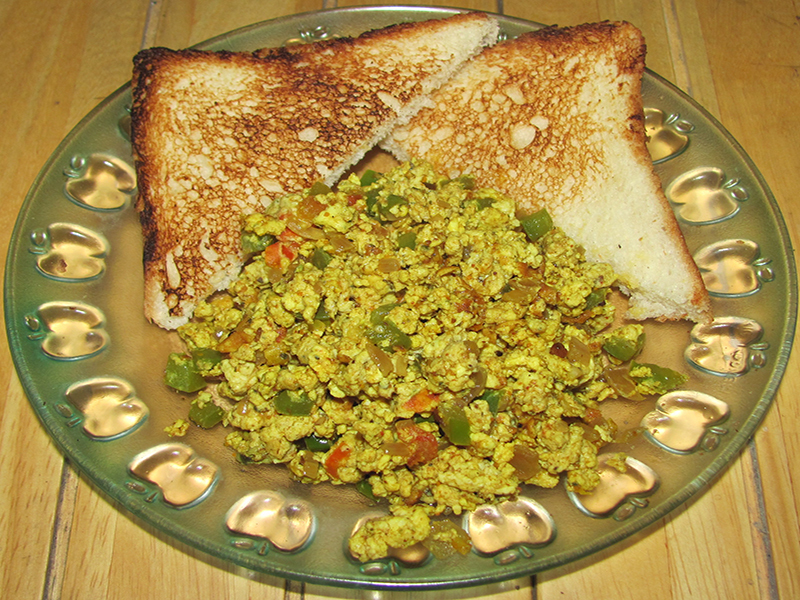 Classic scrambled eggs the Indian way. Scrambled eggs are famous all over the world. Though its famous in India as well, it has been adapted to suit the Indian taste buds. Instead of just butter, pepper and milk, Indians like to add chopped onions, tomatoes a few spices to make it extra special. Add the onion and fry till light golden brown. Add the ginger garlic paste and sauté for a few seconds. Add the roasted cumin powder, turmeric powder, red chilli powder, dry mango powder, garam masala powder, black pepper powder and salt. Mix well and sauté for 1 minute. Add the tomatoes, bell pepper and mix everything well. In a bowl whisk the eggs and milk. Add this to the frying pan and cook while stirring constantly. Cook till its dry while stirring constantly to form the scrambled egg. 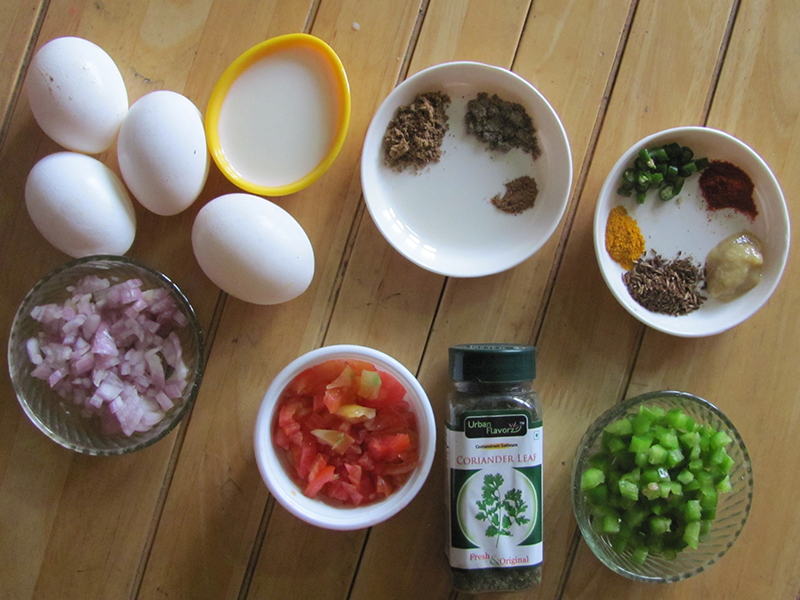 Add the dried coriander leaves and serve hot.